I learned this drill while I was at Princeton and I believe that developing this part of my fencing may have been the single most significant way I improved in my time on the collegiate circuit. Very rarely in fencing do your actions end up working perfectly, resulting in a perfect looking touch. Maybe the opponent responds in a way that is unexpected. Maybe the angle is just the slightest bit awkward. Maybe the opponent ends up a step ahead strategically and tricks you into leaving an opening. No matter what the exact cause is, fencers frequently get stuck in in-fighting situations where the distance is extremely close and neither fencer has their point aimed directly on the target. 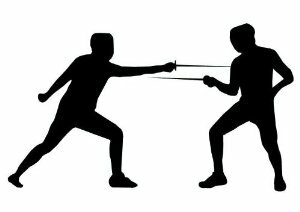 The situations are especially frequent in college fencing, where the competition is emotionally super-charged, many of the fencers are awkward/a-typical, and every scrappy touch means that much more since the bouts only go to 5. In these “broken” situations, the fencer who is willing to fight hardest for that ugly touch will score the point 90% of the time. But the fencer also has to be ready for the situation and anticipate when they need to throw execution out the window to just focus on getting the tip onto the target as fast as possible. 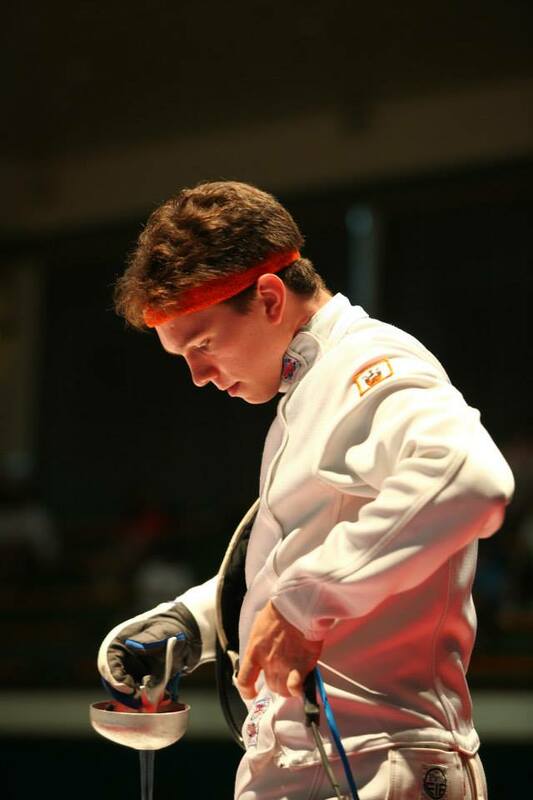 Since most fencers train and focus almost exclusively on building their technique and strategy with high technical standards, infighting is not usually the natural response for most fencers. The split second of hesitation/surprise that they experience when the distance quickly collapses to an in-fighting situation is enough to make the fencer lose the touch. You would be surprised by how many touches come from these types of situations. Winning these exchanges easily can and frequently are the deciding factors in the bout. The drill is incredibly simple but you will need a partner for it, preferably someone who you do not mind hitting kinda hard and possibly awkwardly. Do not try this with anything less than full protective gear on. The fencers start with their front feet touching and their blades locked near each other’s bell guards. Try to vary the angle, line positioning of the blades from set to set. Have a third party moderator give a starting signal. 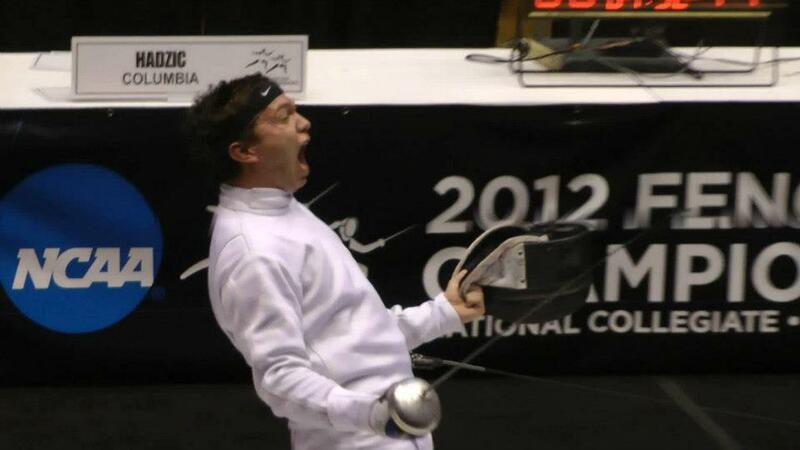 At which point, both fencers try to hit the each other with the pointy end before the other guy can. You can try pushing back on the opponent’s blade, sliding off of their blade in different directions, changing what target line you aim for, pulling back your arm, or even navigating the tip to the target by moving the blade behind your own head. Trying out all the different options can be a ton of fun. You will quickly start to find certain target areas and angles that are easier for you to hit from the different starting in-fighting positions. Like with most fencing drills, you need to make sure that you are taking a long enough pause between sets. You do not need to go through this drill for a particularly long time either. This is probably not a drill that you need to spend an entire practice on. In my experience, I have found it to be a particularly useful drill in small doses to help prepare you for infighting encounters. I couldn’t even begin to tell you the number of bouts I’ve won for no other reason than I was better prepared than my opponent for some gritty in-fighting.